18 year old Amanda Roberts led the singing in a rendition of ‘Have Yourself a Merry Little Christmas’, filmed during a December music workshop at Forward Vision, a Royal Blind run service which provides support for 17-25 year olds with a visual impairment and other disabilities. Despite being a late entry in the year-long ‘Care Home Idols’ contest, the video managed to secure third place in the public vote. Amanda’s vocals were ably backed by lively percussion from Michael Martin, Christopher Donovan, Alex Harpin and all the young adults at Forward Vision, with music specialist Karl Macrae on keyboards. 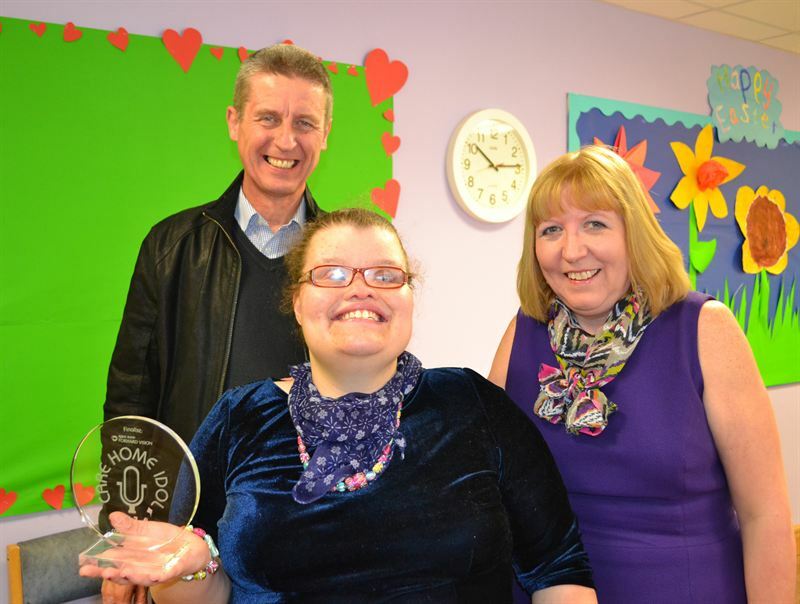 Amanda is a former Royal Blind School pupil who enjoys respite care once a week at Forward Vision. As well as being a talented singer, she is also a keen actress, musician and composer who takes regular piano lessons. 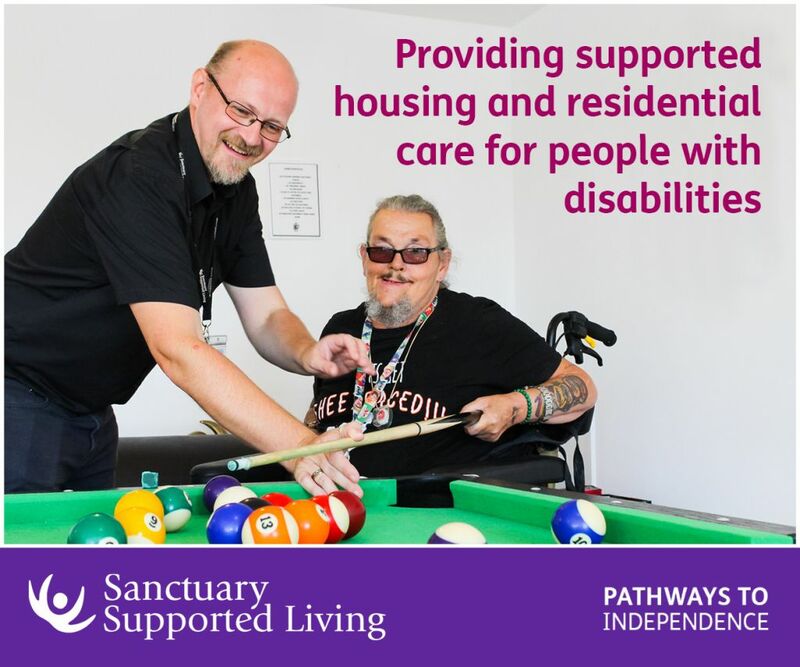 Forward Vision Care Services Manager, Julie Jamieson, said: “Amanda has a lovely voice and I’m really pleased this video gave her a chance to shine! “Music-making is a really important part of what we do here at Forward Vision. It’s a great form of communication which gets everyone involved. All the young adults had a lot of fun making the film. As you can see they did a brilliant job! The ‘Care Home Idols’ music competition is run by carehome.co.uk and is open to supported accommodation across the UK. The Forward Vision entry for 2014 can be viewed here. Be the first to comment on "‘Care Home Idols’ trophy presented to teenage singer"